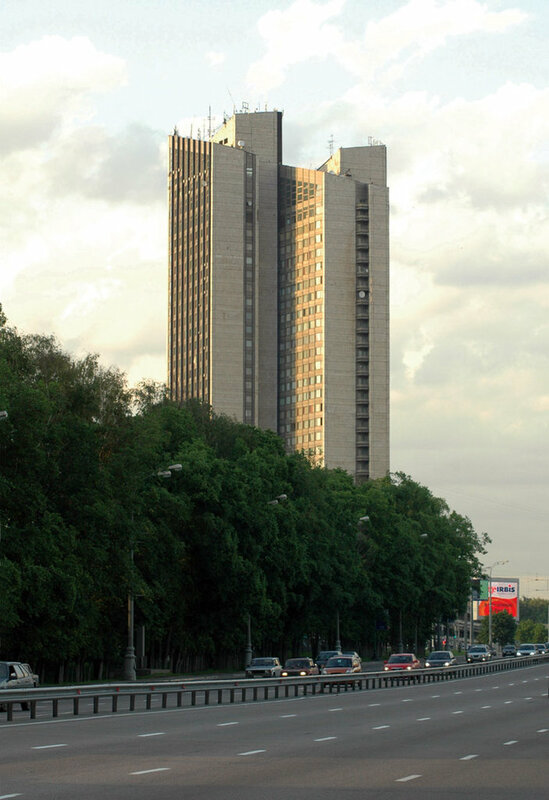 Astrus Hotel is one of the largest and most comprehensive services hotels of the Russian capital. It is located in one of the most prestigious and green districts of Moscow - Troparevo-Nikulino which gives guests an advantage of staying in ecologically safe area while having easy access to main business and cultural centres of the megapolis. The hotel is located in about half-an-hour drive from the Vnukovo and Sheremetievo International Airports and the Kievsky Railway Station. The total number of rooms in the Astrus hotel is 495: the room rate includes buffet breakfast, safe, 24-hour room service, kettle, refrigerator, climate control, WI-FI, hairdryer, TV with satellite channels. Extra services are available in the superior rooms. The hotel offers the Massimo restaurant, banquet hall, Uyutny Dvorik restaurant, Sky-View Chinese restaurant, lobby bar. Possibility to organize meals and banquets for groups. To the attention of organisators of business events, the hotel offers meeting rooms - Central Tourist House, as a modern and functional platform for the organization and conducting of congresses, trainings, meetings and press conferences. Significant events in restaurants and banquet halls. 3 meeting rooms (largest meeting room can accommodate up to 200 people), 2 meeting rooms (60 seats), 4 halls of the restaurant (the largest restaurant banquet hall can accommodate up to 500 people). The hotel has a fitness centre - Fitnesmaniya with sauna, swimming pool. When guests visit a fitness centre the hotel offers a discount for visiting. In addition, parking, shuttle service, ATM/cash machine, laundry, Ironing room, souvenir shops, airline and railway ticket office, taxi, Wi-Fi Internet, luggage storage are available on-site.